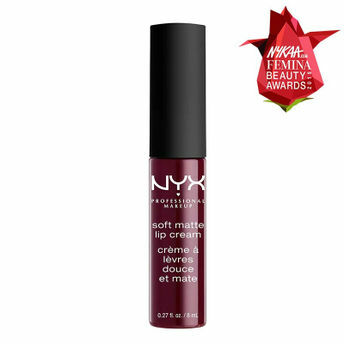 Now available in twelve more statement-making shades, NYX Professional's velvety smooth Soft Matte Lip Cream delivers a burst of creamy color and sets to a stunning matte finish. Designed to be worn with the NYX Suede Matte Lip Liner, each lightweight hue is surprisingly durable and delightfully creamy. Enriched with skin smoothing silicones, these lippies keep your pout looking and feeling soft with a creamy whipped texture. It's no wonder this sweetly scented formula is a fan favorite.